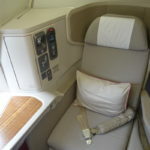 The Lufthansa First Class Floodgates Are Open! I’ve had a look at some more routes, and it looks like Lufthansa first class to & from the US is actually much more open in advance than we thought. There are several other routes with availability. Personally I haven’t been able to find anything from the West Coast (aside from San Francisco to Munich), or from Houston or Miami. However, most other routes seem to have at least some award availability, which is pretty great. What’s amazing here is that we’re not just seeing one or two seats per flight, but in some cases 3-4 seats. 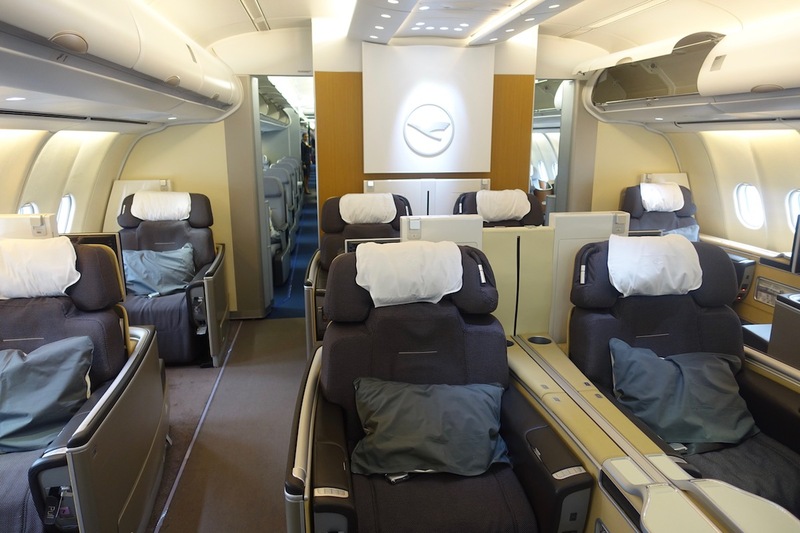 Lufthansa only has a total of eight first class seats per plane, so that’s pretty awesome. I have no clue how much longer this award availability will last, so if interested you’ll want to book soon. Do note that some of this availability may be phantom, so you’ll want to go all the way through to the booking page to see if it’s bookable. I think the space was bookable to begin with, but once it’s booked the system may not be updating instantly to reflect that there’s not availability anymore. So this is something to be aware of if buying miles for the purpose of booking one of these redemptions. Lucky, you’re late to the game. Outside of the FCT, this looks like such an outdated subpart product. Not sure it’s something to get so excited about, especially since it’s mainly from the east coast. Do you think UA/Aeroplan are blocking the space or is LH only making it available to certain partners? I tried to book, didn’t work after entering passenger data. Called LM, no luck, emailed the screenhots in, they created a PNR for me but First is only waitlisted which is useless. So unless you can see it on UA/AC/NH/… its phantom availability. Lifemiles is playing trick on this. They will show availability so that you buy their miles paying cash and then when you try to book it will disappear. They got the cash and you are stuck with useless miles. Not sure this is the case, but my understanding was that the open availability from the get-go was a glitch. There doesn’t seem to be expanded availability since that time (unless somebody has experienced finding F availability one day that wasn’t available the previous day). Obviously new routes with availability have been discovered since then. Great timing, as we were able to get my in-laws ORD-FRA on the 747 in F for late Sept (they’ve never done anything like it). But still no luck on the return. Also hoping F will open up for a friend coming back from Europe around that time, though worst case she’ll be stuck in LH J.
Doesn’t the screen grab you’ve got here show that first class from JFK to FRA is NOT available? @ Shaun — My guess is that they have something in their system that blocks Swiss first class space altogether, and that blocks Lufthansa first class space more than 15 days out, to avoid a situation like what they had with Swiss a while back. @ Adam — Looks like I posted the wrong screenshot. Whoops. Some of this is definitely phantom availability. I tried to book several dates that show 2 seats on Lifemiles using SK points, but the EuroBonus agents only see 1 seat on their end. Beware if you plan to buy Lifemiles to take advantage of this………. For those seeing phantom availability, my guess is that the space was there but someone booked it and the search page hasn’t updated fast enough. Will update the post to reflect that. I don’t even understand how this space shows with LM — there are days where it’s F2 A0 on LH and LM shows 2 seats available, but other days where the same route is F8 and no seats. The trip I’m looking for is a Europe return in about a month, so I guess I’ll just resort to looking for “real” availability in a couple of weeks. Thanks for this Ben. Got one for EZE – FRA using LifeMiles and it could not have been easier. No, it’s definitely not that the search page hasn’t updated. The flight I’m eyeing I’ve been seeing on Lifemiles ever since the space was released over two weeks ago. It still shows 2 seats on an ex-US flight. I’ve called EuroBonus at least 6 or 7 times and all agents just see one seat. On the other hand availability on a chosen day from FRA to PVG was identical between LM and EB. I booked Ord fra in first class a week ago for May 25th. Worked like a treat on lifemiles. Confirmation code from lifemiles worked on lh.com. Choose seats etc. It’s been there for a while. Business back a week later although first was available. I didn’t buy miles using the promotion. I did pay plus miles so if it didn’t work I wasn’t left with the miles. Slightly more expensive but good comfort (1.51c per mile). Ie I transfered in 50,000 Citi thank you and bought rest on checkout. I’ve been checking space on the Lifemiles website to that on the Lufthansa website and the Lufthansa site doesn’t show a lot of these seats that are showing up on the Lifemiles site. I believe it’s phantom space. Tread lightly before transferring or buying miles…. I wonder how long till this lasts and how many of those tickets will be honoured. Then again, the summer months are known for low premium travel so somehow those seats have to be filled. *meant how long till this gets pulled…..but my mind jumped to how long this lasts.. Recently Lufthansa has sued an online blog for publishing error fares. It is in your best interest not to publish anything that maybe an error from Lufthansa. Meanmeosh, if it helps I saw my Ord fra availability for a week before booking. Booked, and it has been a week and still have seats. Pretty sure my friends just booked 2 seats in LH F for their honeymoon in August from JFK-FRA. Seems as though FRA-DFW is plentiful next Spring. 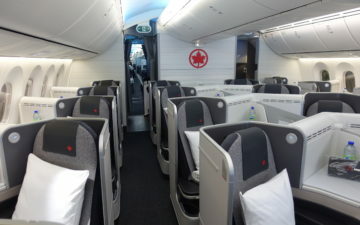 I was able to snag 2 F seats on LH, FCO-FRA-DFW. Same availability on Singapore, Lifemiles, and EF. All I can say is I booked 7 one way tickets including BOM, ORD, BOS and MIA and not a single one was phantom. I also booked using LM a few weeks ago out of ORD no problems. Ticketed and seats reserved. I can tell Luis has never flown LH F.
I was trying to book Lifemiles on LH from JFK/EWR to Cape Town or JoBurg (JNB) and was able to find limited availability — Economy class on United from EWR to London and then Business Class on Lufthansa to FRA and JNB. Or EWR-ADD (via Lome, Togo) on Ethiopian and then connecting to JNB. I discovered that JNB only has slanted business class seats (and I always seem to slide off of those — so I’m certainly not spending good miles to do that to myself). 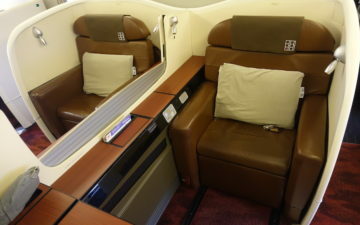 But no LH First Class availability in July or August that I can find. I note that everyone seems to be concentrating on single segments in and out of Germany rather than connecting flights…. Combining with the 2-for-1 sale, I basically just bought a one-way first ticket for DFW-EWR-FRA-JED for $1517 for August. Considering that my new employer is covering ~$1200 of that (cost of a one-way coach ticket), that’s a heck of a deal. Means I have to delay trying QSuites for a while, but I’m not going to miss out on guaranteed availability. One hint is that the slider can offer miles prices as low as 1.5 cents for the remaining miles, so it can occasionally be better than using 2-for-1. My flight was 91,750 LM theoretically, and the sweet spot was 40,750 LM + $765 + $92.02 in taxes. I had a few residual miles and bought 20k at 2-for-1 for $660. Slider saved me $60 compared to just buying the 45k*2 I would have needed. There’s a claim on FT that LH doesn’t charge for lap infants on Lifemiles-issued awards. Anyone knows if that’s true? Snagged this over a week ago before apparently everyone was aware. 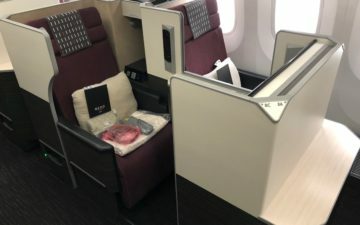 Burned 97,000 +$150 in taxes for Lufthansa Business class from Amman, Jordan to Frankfurt, and Lufthansa First Class from Frankfurt to Chicago. United wanted 140k miles for that route! Successfully booked and ticketed ORD to FRA for April 2019 using SQ miles. Seats already reserved on the LH site. Thanks for the heads-up on this! @Chris B and others, beware of the LifeMiles+Money slider. The last 3,000 miles, if you purchase the maximum possible miles, are charged at $0.033 per mile, not $0.015. Always bring the slider back so that you only buy the maximum less 3,000 and you instantly save $54. This has nothing to do with the result page being not updated / cached results. Its just the same system that most OTAs use or even GDS, when you search for space it just makes a date + availability request, the GDS responds, once you enter the pax details it actually tries to generate the PNR and the the correspondings airline’s system responds via direct connect what the actual availability is. Same exact happens when you search for space on Amadeus, you see space for any combination, you try to book it aaaand its gone. The only way to get 100% accurate information is by direct access. I booked two tickets last year with the following routing. RAK-VIE-FRA-JNB-CPT first leg with austrian than luftansa on the second leg and southafrican for the last two. I did it this way in case availability in business would open up in lufthansa business i would just change the 3rd leg into lufthansa 747-8 . Well thanks to your post i went and look closer to the table and found out that united just charges an extra 10k for first in my routing. Voila we are flying luftnansa first for 90k united miles FOR BOTH Tickets. THIS HAS TO BE THE BEST REDEMPTION IN HISTORY. The logic behind this… is the fact that i am originating in north africa and my final destination is in south africa. United charges 45k even when connecting through europe.I got these tickets confirmed today. THANK YOU @LUCKY you are the best blogger of all times. 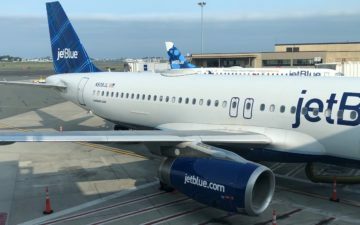 @Tim the comment you made about Luis tells me that you probably haven’t flown F on many airlines. I have and LH product in the air is nothing to get excited about. Luis was right the real value is the LH ground exp.